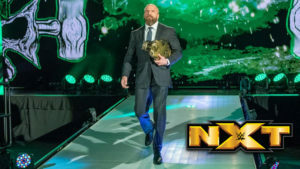 Triple H makes a huge announcement regarding the NXT Title match at Takeover: New York, and a new contender for the title is decided in a great main event. The semifinals of the Dusty Classic are decided, Shayna Baszler finds out who she will face at Takeover, and Johnny Gargano makes a statement on a good episode of NXT. All four matches in the first round of this year’s Dusty Rhodes Tag Team Classic are decided in a great episode of NXT. Mia Yim fights Shayna Baszler in the main event of a good episode of NXT that also featured Keith Lee vs Dominik Dijakovic, Borne and Aliyah vs Conti & Xia Li, Ciampa making a proposal to Gargano, and an appearance from the WWE Women’s Tag Champs. Baszler, Duke, and Shafir team up to take on Shirai, Sane, and Belair in the main even of a good episode of NXT that also featured Drew Gulak versus Matt Riddle in a beautifully brutal battle. Kairi Sane and Io Shirai run circles around Jessamyn Suke and Marina Shafir, and the Street Profits battle the Forgotten Sons in two good tag matches on what was otherwise a recap of NXT Takeover: Phoenix. 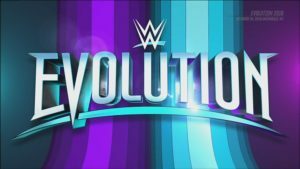 Ricochet and Gargano meet in the ring, Bobby Fish takes on Velveteen Dream, Io Shirai and Kairi Sane form a tag team, and the team of Aichner and Barthel battle Lorcan and Burchin a good episode of NXT. Dakota Kai faces Shayna Baszler (and friends), Punishment Martinez debuts against Matt Riddle, Mendoza and Carrillo fly around the Forgotten Sons, and Ciampa, Black , and Gargano get into a war of words on a very entertaining episode of NXT. 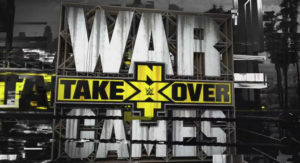 NXT WarGames II continues the tradition of great Takeovers with a crazy WarGames match, a great NXT Title match between Dream and Ciampa, an emotional fight between Gargano and Black, and a tense battle for the Women’s Title between Baszler and Sane (plus a surprise or two). The final two competitors of the 2018 Mae Young Classic are determined in a pair of very good matches. The quarter-final round has three good (and quite different) matches plus one heartbreaking end for one of this year’s competitors. The second round of the Mae Young Classic concludes with another series of good matches, and a great fight between Mia Yim and Kaitlyn. The first round comes to an end with some good matches including Hiroyo Matsumoto vs Rachel Evers, and Xia Brookside vs Io Shirai.